LIGHTWEIGHT SINGLE STRUT GEOMETRY - The Ultra V2 is designed to maintain its shape and responsiveness by maximising the benefits of the unique Airush Load Frame. 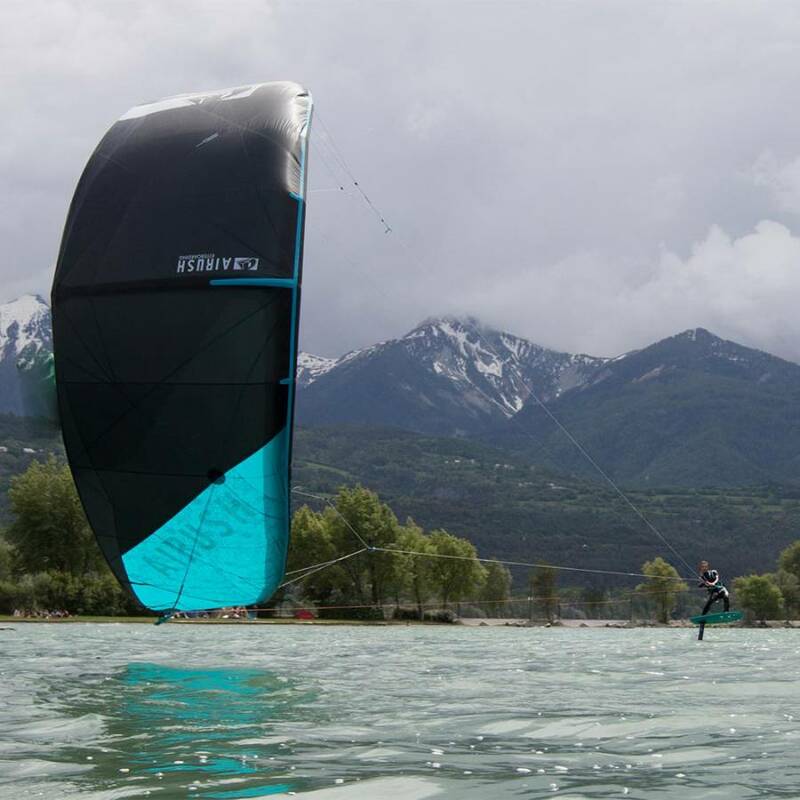 The balanced geometry combines canopy curve, leading edge sweep and a specific trailing edge concave. By reducing the number of struts and combining this with WebTech smart reinforcing the weight of the Ultra V2 is minimised. This enables a greater level of performance in all wind conditions and allows us to push the boundaries of light wind performance. AIRUSH LOAD FRAME V4 - The Airush Load Frame featuring WebTech has been the key to setting the ultimate benchmark in durability, without compromising on weight. By expanding our exclusive Load Frame with WebTech throughout the areas normally occupied by Dacron, we are able to minimize or completely remove the heavier fabric and utilize the Ballistic high-modulus polyethylene web fibers instead - increasing strength and minimizing weight. INTEGRATED HIGH MODULUS FIBERS - Central to the concept of the Load Frame are the lightweight Ultra High Modulus yarns, of which each single yarn can carry 40kg. Think of them as a lightweight web with engineered energy absorption under load, similar to a spider web. These yarns are integrated into the canopy through reinforced taping that allows them to elongate when under extreme load, absorbing most of the shock that traditionally would have run through the canopy. At the same time, they carry the primary load of the canopy, preventing stretch and increasing long-term performance. WebTech - WebTech minimizes or replaces the traditional Dacron reinforcing by channeling the broader loads into the Load Frame through a web "sub frame" of ultra-high-molecular polyethylene (Ultra High Modulus). This is featured in key areas such as the primary attachment points on the leading edge or the rear attachment points, while also being used to support structural components such as the center strut. TECHNOFORCE D2 - This premium fabric is designed with a high-density structure using high tenacity double-coated polyester yarn in a double ripstop configuration. The double coating protects the yarn as much as possible from UV and abrasion damage. This ensures that the canopy remains as crisp and responsive for as long as possible. This exceptional material is used in conjunction with the Airush Load Frame, resulting in the ultimate combination of durability and performance. V3.2 BRIDLE SYSTEM - The key benefit of the V3.2 bridle is that the kite maintains steering even when completely de-powered, increasing the usable wind range and overall performance significantly, while adding immense safety benefits. The positioning of the bridle attachment points on the LE of the kite, combined with the V pulleys result in lighter steering, but direct enough to feel where your kite is while riding. Further refinements have allowed us to reduce the length of the bridles, while maintaining the performance characteristics. LIGHTWEIGHT COMPACT KITEBAG - Even the kitebag has been optimized, using premium lightweight Ripstop nylon (mountaineering technology) to create a unique bag that folds into its own pocket and weighs less than 250gm. AIRUSH BUMPERS - Airush Bumpers are found throughout the leading edge of the kites to reduce wear and increase durability on rough surfaces. These bumpers are key for increasing the lifespan of Airush kites. 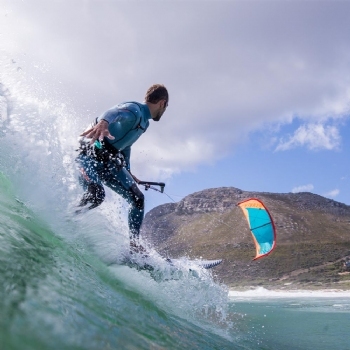 XL INFLATE/DEFLATE VALVE - The XL Inflate/Deflate Valve features an insanely easy and fast way to inflate and deflate your kite. The large opening creates maximum flow of air and reduces fatigue and stress on your pump. 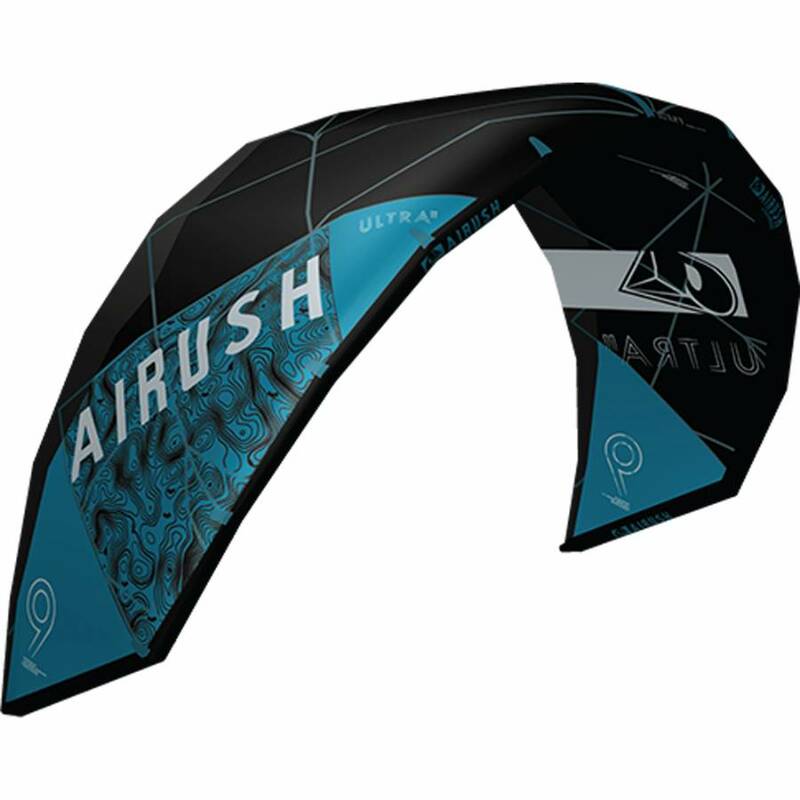 This in conjunction with the Airush High Velocity pump makes inflating your kite extremely fast to get you on the water as quickly as possible. 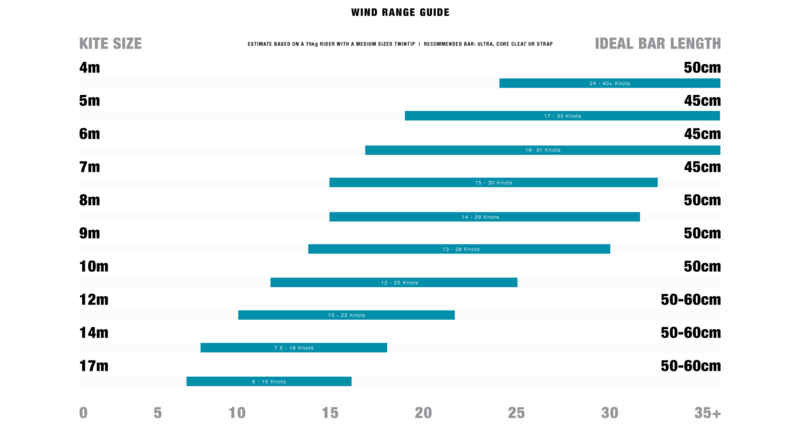 Single Point Inflation & Fast Bladder Inflation - The oversized SPS valve (Single Point Inflation System) optimizes inflation and deflation. The Fast Bladder Inflation (FBI) features increased wall thickness and oversized diameter tubing, thus eliminating tube kink, reducing stress on your pump, and enabling quick and easy inflation. The SPS cover supports the tubing, further limiting UV damage to the material and preventing over flexing when packing. KEVLAR REINFORCEMENT - Kevlar, found in bullet proof vests, is found throughout the Airush kites. 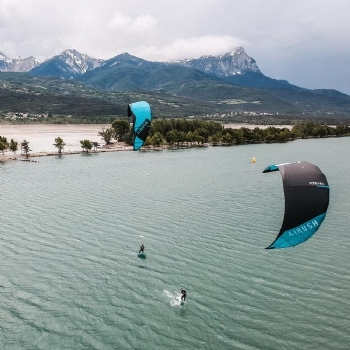 These Kevlar Reinforcements are only put in the most critical areas to protect from wearing while still minimizing weight which affects the kites performance. AIRUSH PULLEYS - Made of tough Zytel material for high strength and resistance to abrasion and impact, the Airush Pulley has the pigtails hole directionally correct to eliminate bridle wear. 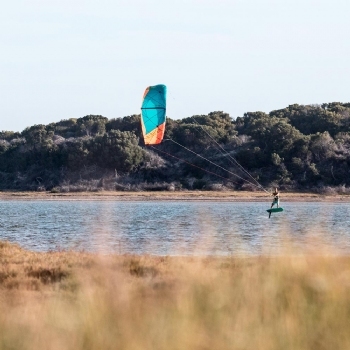 With a breaking strength of 550 kg, the Airush pulley was designed specifically for use on all Airush kites.